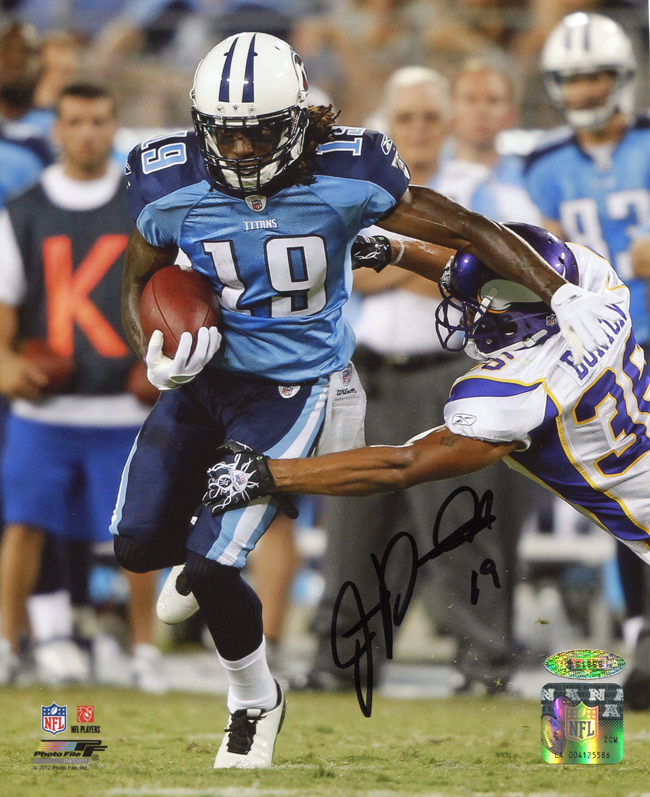 James Kirkendoll personally hand signed these Tennessee Titans 8x10 photos. Each autographed photo includes authentication from TRISTAR. Wide receiver James Kirkendoll joined the Tennessee Titans in 2012 after playing for the Texas Longhorns. In college, he played in 43 games and had a total of 121 receptions. In 2010, he was named UT’s Darrell K Royal Most Valuable Offensive Player.